Photo courtesy of Zoe Josephina Moon '20. For the third consecutive year, Campus Inclusion Week aims to inspire everyone in the Dickinson community to commit to making the college more inclusive and diverse by supporting campus programs, participating in training opportunities, reviewing educational materials and learning more about campus inclusion resources. From Monday, Sept. 24, through Friday, Sept. 29, a number of offices will host events to help Dickinson community members meet those goals. "A key highlight for this year is a public art project led by local artist Chris Varner on Friday, Sept. 28. All members of the campus community can drop [Britton Plaza] by anytime between 12 and 3 p.m. to add colors and designs to a multi-piece mural designed around our Inclusion Week Pledge's principles," says Director of the Popel Shaw Center for Race & Ethnicity Vincent Stephens. Hosts for the weeklong event include the Popel Shaw Center for Race & Ethnicity (PSC), the Office of LGBTQ Services, the Office of Disability Services (ODS), Human Resource Services, the Center for Global Study and Engagement and the Office of Institutional Effectiveness & Inclusivity. This year's events are co-sponsored by the Waidner-Spahr Library, the Women's & Gender Resource Center (WGRC), members of the new President's Commission on Inclusivity and the Student Athletic Advisory Committee (SAAC). 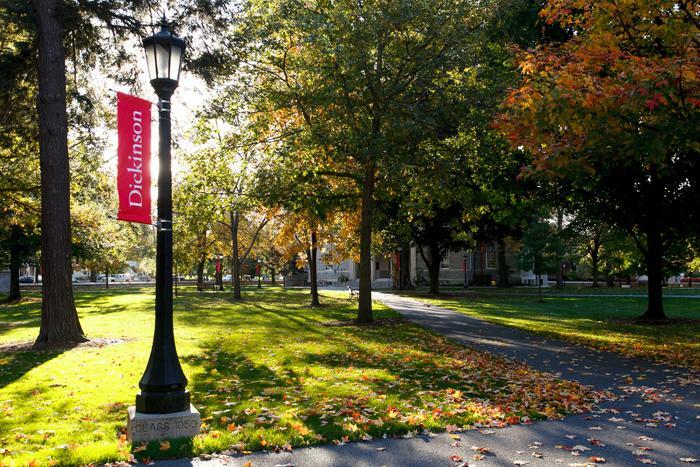 Learn more about diversity and inclusion at Dickinson.